See the fact file below for more information on the Mt. 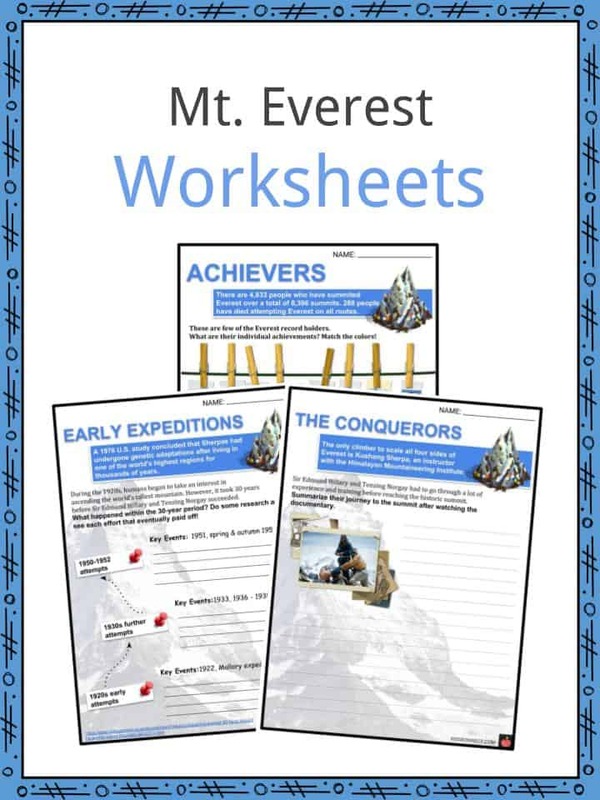 Everest or alternatively, you can download our 26-page Mt. 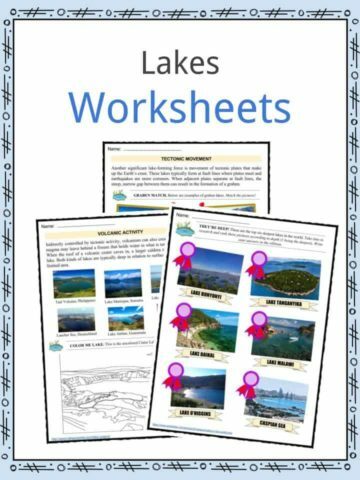 Everest worksheet pack to utilise within the classroom or home environment. The result of tectonic action some 25 to 30 million years ago formed the Himalayas. 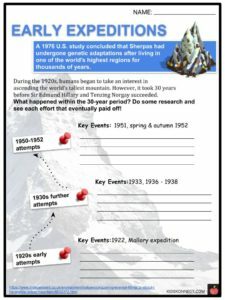 Everest and the surrounding peaks took their present form during the Pleistocene Epoch. The home location of Everest is the Mahalangur range of the Great Himalayas. It stands exactly on the border between Nepal and the Tibet Autonomous Region of China, at 27°59′N 86°56′ E.
While the mountain was known for its greatness, it was only in 1856 that its height was first determined. The Great Trigonometric Survey of British India found the mountain, known to them as Peak XV, to be 29,002 feet (8,840 meters) tall. Shaped like a three-sided pyramid, Everest has three flat planes constituting the sides called ‘faces’. The line where two faces join is known as a ridge. The North Face rises above Tibet and is the most famous route taken by climbers. Key features of this side include the Great and Hornbein couloirs and the North Col. The Southwest Face (Lhotse Face) rises above Nepal. 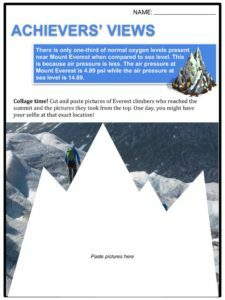 It is the second most famous route to the summit, but is quite notorious because of the Khumbu Icefall, a jumble of large blocks of ice that challenge climbers. The East Face—or Kangshung (Kangxung) Face—also rises above Tibet. 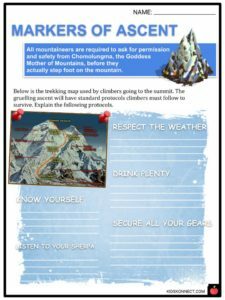 It is considered to be a dangerous route of ascent and is the most remote face of the mountain, with a longer approach. 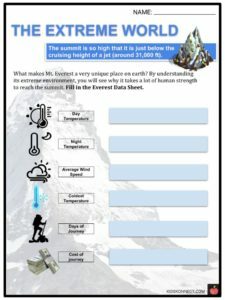 The summit of Everest is covered by rock-hard snow surmounted by a layer of softer snow that fluctuates annually by some 5 – 20 feet (1.5 – 6 metres). It is composed of multiple layers of rock folded back on themselves (nappes). Rock on the lower elevations of the mountain are made of metamorphic schists and gneisses, topped by igneous granite. Higher are sedimentary remnants of the ancient floor of the Tethys Sea that closed after the collision of the two plates. A limestone formation named Yellow Band is prominently visible below the summit pyramid. 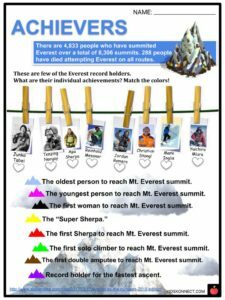 The measurement of the summit at 29,028 feet (8,848 metres), plus or minus a fraction, has been widely accepted as the true height of the mountain. 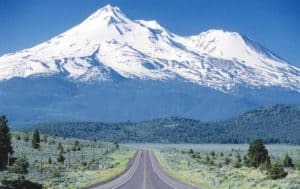 Attempts were subsequently made to remeasure the mountain’s height, although the measurements were not far from each other. In 1999, the U.S. National Geographic Society took measurements using GPS equipment. Their finding of 29,035 feet (8,850 metres), plus or minus 6.5 feet (2 metres), was accepted by the Society and by various specialists in the fields of geodesy and cartography. 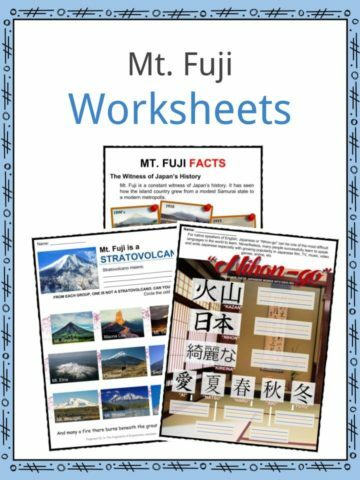 The high altitudes around Mt. 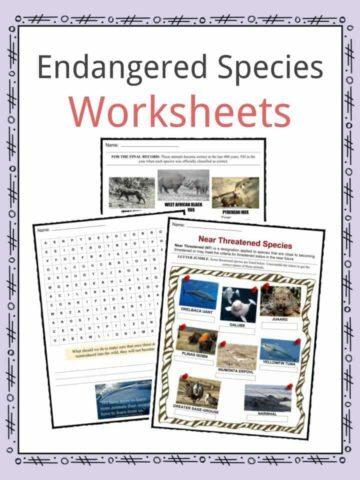 Everest cannot support animal life or vegetation; however, birch, juniper, blue pines, firs, bamboo, and rhododendron grow in the lower areas. There are no plants above 18,690 feet (5,750 meters). At the lower altitudes, musk deer, wild yak, red panda, snow leopard, and Himalayan black bears live and survive. There are also small numbers of Himalayan tahrs, deer, langur monkeys, hares, mountain foxes, martens, and Himalayan wolves. The valleys below the mountain are inhabited by Tibetan-speaking people. Among these are the Sherpas, who live in villages at elevations up to about 14,000 feet (4,270 metres) in the Khumbu valley of Nepal. In summer, livestock graze as high as 16,000 feet (4,880 metres), while winter refuge is taken at lower elevations on sheltered ledges and along riverbanks.